Save the Date for the 2019 Member Appreciation Movie Day! 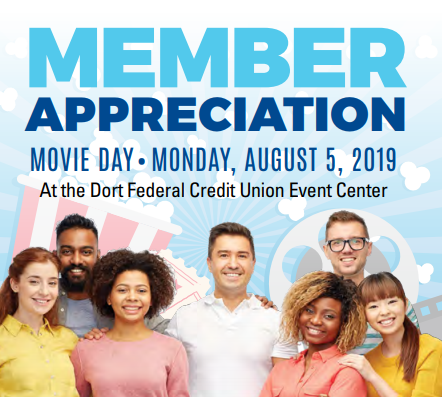 We will host our 15th Annual Member Appreciation Movie Day on August 5th, at the Dort Federal Credit Union Event Center. The event will feature free concessions, meet and greets with several Flint Firebirds players and princesses and superheroes, and a kid’s play area. The response to the 2018 Member Appreciation Day was exceptional and we thank those who took time out of their day to join us. 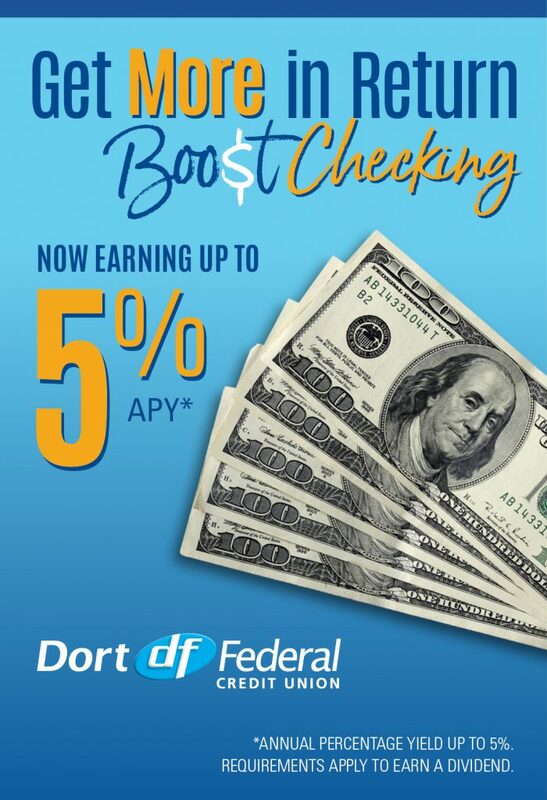 Members were still able to get four free NCG Cinemas tickets, along with four Flint Firebirds ticket vouchers. 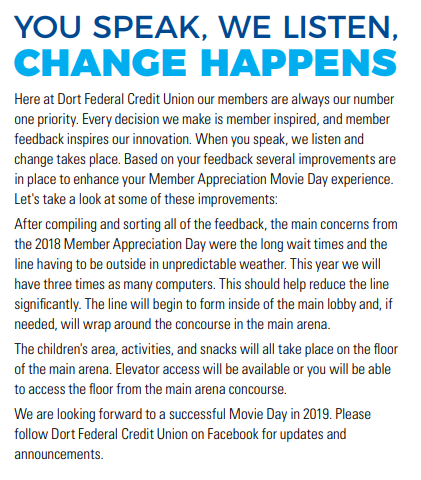 Once again, THANK YOU to our members for making our Annual Member Appreciation Day a fun-filled day, and we look forward to revealing more information about the 2019 Member Appreciation Movie Day very soon!